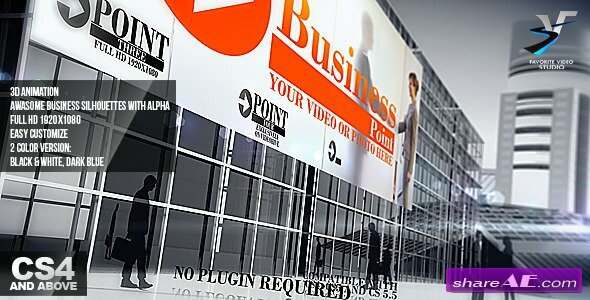 Business Point is an After Effects CS4, CS5, CS5.5 project. Template perfectly fits for Business Promo Show, Presenations, motion graphics, stylish web presentation and much more. Awesome 3D Vizualization and dynamic action will create a great impression on your customers! Remember that creativity you can achieve a lot. If I buy prefiles.com premuim account,can I download and recevie all your vip project? it's cool,File downloaded,what's the password,Thanks. it's cool, please share the password,Thanks. file downloaded, password please thanks!!! !